The majority of shares aren't made through social share buttons. In fact, about 78% of shares are made through Copy Paste to private messaging tools such as Facebook Messenger, WhatsApp, Email and more. GetSocial allows you to understand how much traffic each post is driving to your website through Dark Social. It's the only solution that lets you know if the people clicking the link made further shares and how much further traffic was generated. 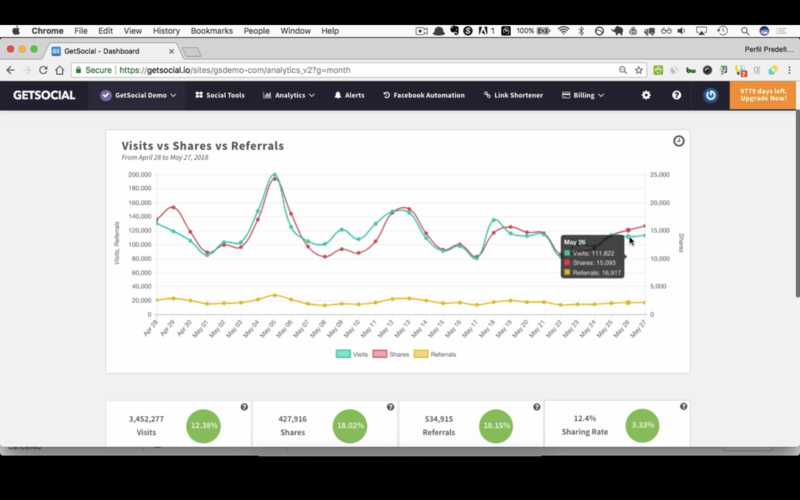 GetSocial helps you measure social shares made on desktop, tablet and mobile devices. We cover traditional share buttons and also copy paste shares intro private messaging and Dark Social environments. Our proprietary Virality Score identifies the best viral stories to feature, promote and distribute over the top performing channels. Match the look and feel of your website and create immersive social sharing experiences for your audiences.